Here’s the thing about blogging for almost 8 years- you accumulate A LOT of recipes. I actually find it hard to believe that I shared this recipe over 7 years ago. How crazy is that?! Life was so different back then. When I first shared this recipe, I talked about a bad habit I have and that bad habit remains 7 years later: every time I go to the grocery store, I buy lemons. Even if I don’t need them. Even if I have no idea how many lemons I have at home. I can’t help it. And consequently, I’m always looking for ways to use them up. We’ve also reached the point in the summer where everyone seems to have excess zucchini laying around. 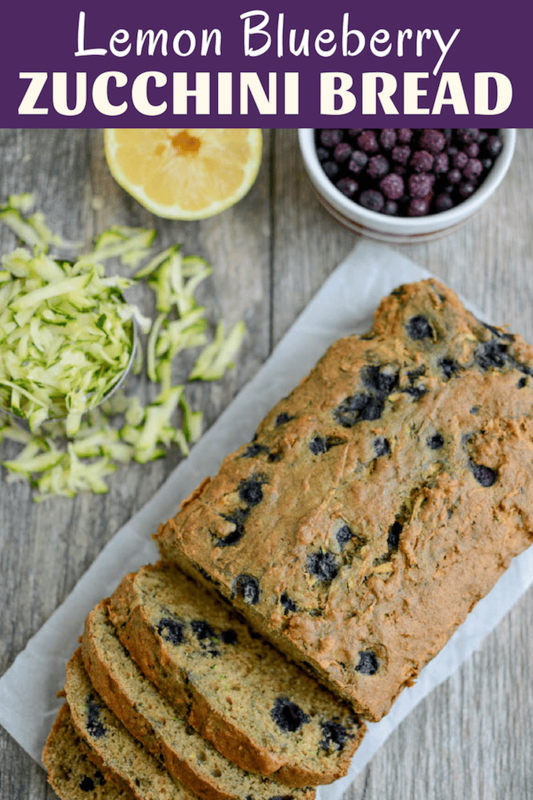 So I present to you, my favorite way to combine lemon and zucchini….with some blueberries thrown in as well, for good measure. I used frozen wild blueberries because we always have an industrial-sized bag in our freezer and this is a lot less messy than letting my 3 year old eat them with his fingers for a snack. But you could use regular blueberries as well. Perhaps leftover from your summer blueberry picking adventures? One bowl. So easy. Go make it immediately! ah! onions are my second bad habit!!! i ALWAYS have too many of them. i know! i love how healthy it is! oooh i love lemon in my tea! so good!! i’m certain they’re begging you to make this! I always buy lemons too! We use them like it’s our job, ha. I love the idea of all those flavors together. 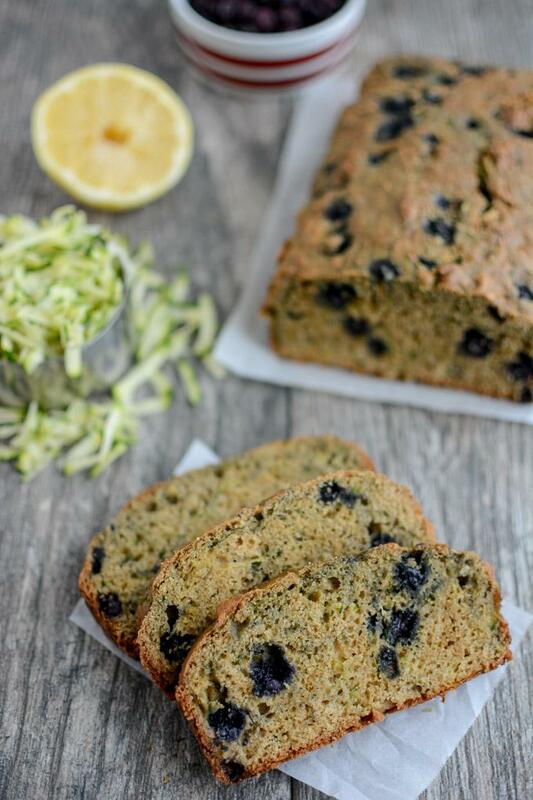 I’ve never had a lemon zucchini loaf, but it sounds wonderful. i like it because the lemon isn’t overpowering but you can tell it’s there! OH. MY. GOSH this looks gorgeous!!! 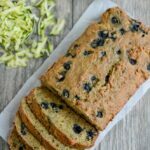 I can’t even begin to tell you how much I love blueberry in bread, pancakes, muffins, etc….It’s like little fruity explosions in every bite!! ANOTHER recipe to add to my to make list!! i know!!! blueberries are the best! Lemon + Blueberry = DELICIOUS!!! This looks so yummy. Do you think I could convert it to muffins? I find them so much easier for a breakfast/snack on the go. Would you just reduce baking time? Thank you! i would think so! I’d check them after 18-20 minutes and go from there! Thank you! Will tag in instagram once I make them! 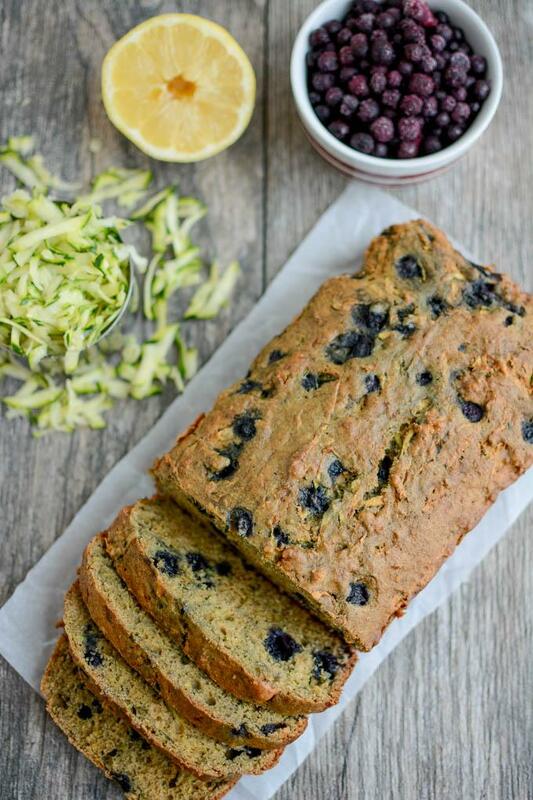 This is EXACTLY what my body has been craving- I wanted lemons and bread and blueberries and here it is. Thank you! I’ve made this twice now and it has become my favorite way to make zucchini bread. Thank you for sharing!! [WORDPRESS HASHCASH] The comment’s server IP (192.0.83.81) doesn’t match the comment’s URL host IP (66.155.9.238) and so is spam.